Mr. Kaine Lynch is the 16th member of the Florida Jukido Jujitsu Academy to be awarded the coveted Jukido Jujitsu black belt by Sensei Rego and the International Kokondo Association (IKA). Mr. Lynch began his training in Jukido Jujitsu with Sensei Rego (Chief Instructor) at age 5. He is also a dedicated student of Kokondo karate at the Jukido Academy dojo. Mr. Lynch has been an incredibly active member of the Jukido Academy since the beginning of his training. Today, Mr. Lynch attends every training session available to him in both jujitsu and karate and regularly serves as an assistant instruction in youth Jukido Jujitsu classes. In addition to regular instruction at the dojo, he is a regular attendee of the annual IKA Florida Seminar and IKA International Seminar. Mr. Lynch is also a favorite training partner of Sensei Rego and regularly works out privately with him on a weekly basis. As a youth, he took direct instruction on several occasions from the founder of Kokondo’s jujitsu and karate arts – Shihan Paul Arel, during the master’s annual visits to Florida. His examination for the rank of shodan (1st degree black belt) was extensive, unique, and challenging. At this point in our dojo history – he is the only individual to be considered for black belt without any peers being evaluated along with him. This exclusive focus on him produced “the most difficult and exhaustive black belt testing in our dojo history thus far” according to Sensei Rego. Mr. Lynch was evaluated five times over a period of four months at the Jukido Jujitsu Academy in Palm Coast before his sixth and final rank evaluation at the 2011 IKA International Seminar under the testing board, which included the IKA’s most senior sensei and masters. Over the next few years Mr. Lynch made incredible progress as a jujitsuka. Unlike many who begin to wavier in their dedication after achieving the coveted black belt, Lynch only pushed himself harder in the pursuit of more knowledge and increased skill. At the personal recommendation of Kaicho Howard (9th dan) Mr. Lynch was successfully tested and was promoted to nidan (second degree black belt) at the 2014 IKA National Seminar. Mr. Lynch is well known and admired for his unique combination of natural talent, extreme dedication, and unique work ethic. 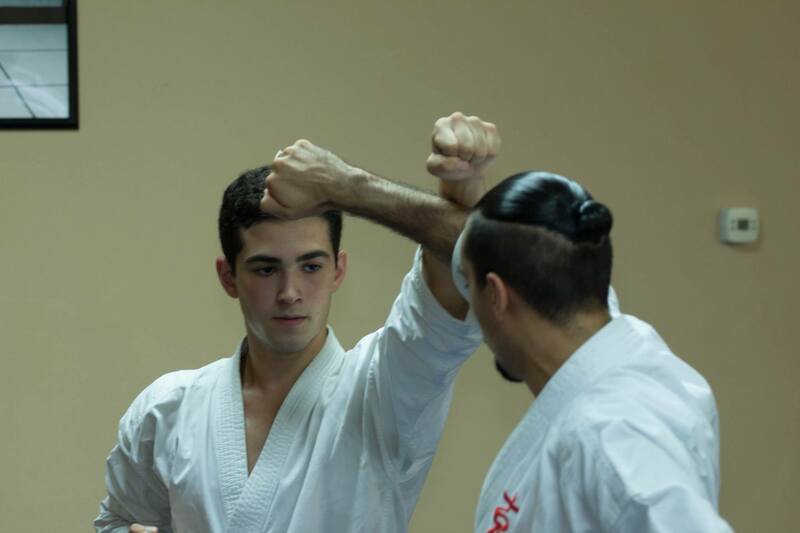 His talent as a martial artist is well balanced in all areas of self-defense. Some of his favorite aspects of training include karate kata, jujitsu randori (free practice) and ne-waza (ground fighting), and intense self-defense practice. He is admired for the achievements, talent, and the significant experience he has acquired despite his young age. His practical jokes and sense of humor have also created classic dojo moments. Mr. Lynch is currently working toward achieving black belt in Kokondo karate, progression onto even more advanced black belt rank in Jukido Jujitsu, and eventual instructor’s certification in Jukido Jujitsu.